Graham Latimer chaired the New Zealand Māori Council for more than 40 years. He was at the helm when the Council launched several key court cases that were pivotal in securing Māori rights – to land, fish, forests, and taonga such as te reo. Those cases reshaped the Treaty landscape – and were financed, in part, by Graham mortgaging his Northland farm to fund the legal fights. He died earlier this month, at the age of 90. Wena Harawira has been speaking to those who crossed paths, and swords, with one of Māoridom’s influential leaders. Graham Latimer was born at Waiharara, a Māori village on the kauri gumfields of the Aupouri Peninsula in the Far North. He was one of six children. His mother, Lillian, was a Catholic Pākehā of Irish-Scottish descent. 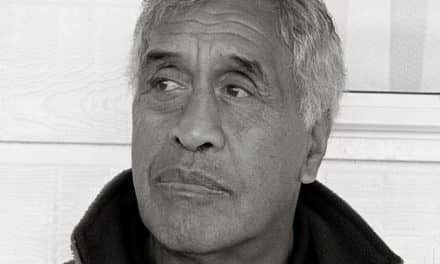 His father, Graham Sr, was a respected member of his hapū. 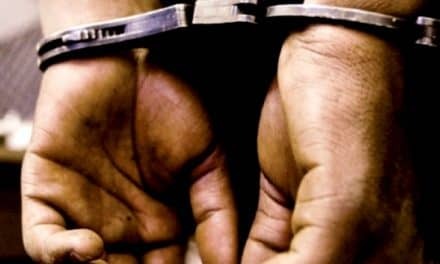 He was also an Anglican, although the couple were actually married in the local police station. Lillian had a hard life. 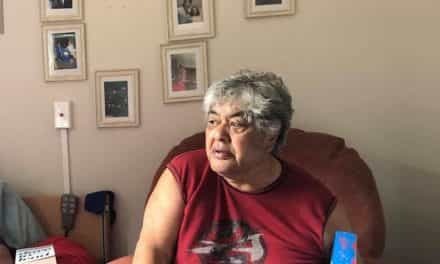 According to Graham, she was ostracised by both sides for a long time, and found it difficult living in the settlement because she couldn’t understand a word of Māori. Graham left Kaitaia District High School when he was 14, because his father and two older brothers were serving in World War II and he was needed to manage the small family farm. They had 14 dairy cows on 48 acres. When the herd was sold because of whānau disputes, he worked on other farms. He served in Japan with J Force in 1946–47. When he came home, he married Emily Moore of Te Whakatōhea. The couple had five children. For a time, he worked for New Zealand Railways but then he got his chance to buy and run a dairy farm in Tinopai. But being absent didn’t stop the iwi from appointing him as their spokesman. He became a member of the Taitokerau Māori Council in 1964, then moved on to become the president of the New Zealand Māori Council in 1973. There were no honorariums or travelling expenses in those days and the Latimer family had to carry the strain. Attending meetings in Wellington were three-day affairs. Graham and Emily would leave home at 4.30am and drive to Brynderwyn. Then Graham would hop out and hitchhike to Auckland, and from there catch the train to Wellington. Meanwhile Emily would return home in time for the morning milking at 5.30am and get the kids ready for school. Graham was also a National Party man and he had been the party’s candidate in the unwinnable Northern Māori seat in 1966. 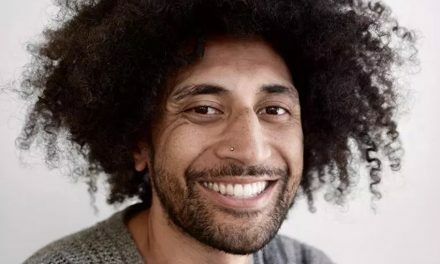 By the late 1970s, Ngā Tamatoa, Bastion Point and Waitangi Day protests were painting a negative picture of New Zealand’s race relations. Māori wanted the many breaches of the Treaty addressed, but there were Pākehā asserting that the Treaty was irrelevant. Despite his conservatism and his view that protest didn’t work, Graham marched alongside Whina in the 1975 Land March. He told the Listener he believed it was the right move. In 1977, he was appointed to the Waitangi Tribunal — and that experience deepened his understanding of the historical injustices suffered by Māori. But it took a succession of court battles over the next two decades to reshape the Treaty landscape. One of those battles was to stop the Crown privatising State Owned Enterprises, which would have resulted in the loss of massive tracts of Māori land. That led, in 1987, to the Court of Appeal affirming Māori rights in fishing, forestry and broadcasting, and to its ruling that the principles of the Treaty of Waitangi overrode everything else in the SOE Act. Graham was part of a panel that got the inclusion of a small but powerful clause in the SOE Act: Nothing in this Act shall permit the Crown to act in a manner inconsistent with the Treaty of Waitangi. This was the leverage they needed to appeal against the Act and it gave the Treaty great constitutional importance. Graham took out a second mortgage on the farm to fund the case. It was a long and technically difficult case — the first time perhaps that Māori and the Crown had ever sat down to look at the Treaty and its practical ramifications. The Court of Appeal’s groundbreaking ruling stopped the Crown from selling off assets, and directed it to negotiate with Māori first. It wasn’t long before Graham was back in court. In 1989, he read in the morning newspaper that the Crown planned to sell off its forests. The problem was that some of those trees belonged to Māori. By that afternoon, Graham had filed an injunction, which was upheld. And the upshot, eventually, was that the Crown Forest Rental Trust (CFRT) was set up to manage the Māori forestry funds. Another plank of the Māori Council’s SOE case was to halt the sale of television and radio broadcasting assets. There were gains and losses in the course of the broadcasting battles, but the gains have led to Te Māngai Paho, which funds Māori radio and TV, and not only to a network of iwi radio stations but also to the Māori Television Service. Despite being the bane of the Crown in a legal sense, Graham worked hard to gain the confidence of successive governments as president of the Māori Council. Politicians came to trust his views and recommendations. His view of politics was down to earth and practical. He argued that there was more sense in working with the powerful than in alienating them. He also believed that the court cases had helped Māori and Pākehā to talk more freely to each other. He believed that was the “greatest gain of the 70s and 80s” — and that there was no harm in arguing over what’s right and what’s wrong. Noisy radicals derided his conservatism. When he became Sir Graham at an investiture at Te Tii Marae in Waitangi in 1981, activists were yelling: “Shame! Shame!” How, they asked, could he accept the “Crown’s medal”? But Graham could shrug off the criticisms. He kept his eye on what could be achieved for Māori. 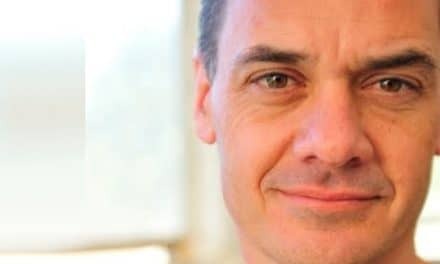 Ben Dalton, the former CEO of the CFRT says he was ruthless in the pursuit of progress. 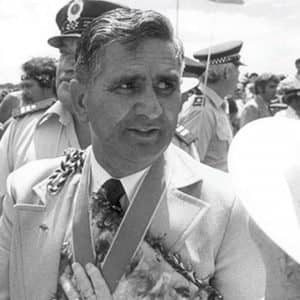 For many years, Sir Graham was the Māori vice-president of the National Party. 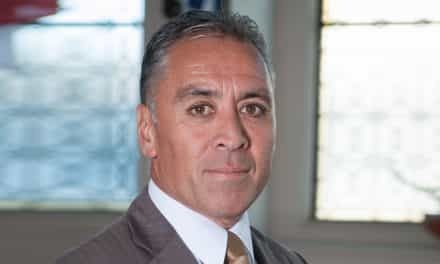 At each year’s annual conference, he was inevitably re-elected unopposed, partly because he was well respected and popular, and partly because he was one of only a handful of National Party members of Māori descent — and the others showed little inclination to challenge him. At these conferences Graham gave an address to the party faithful encouraging them to consider the Māori dimension in their policy deliberations. For quite some years, his message sadly fell on barren ground. But, eventually, it did bear fruit. I always enjoyed what Graham had to say and, he being a skilled orator, I enjoyed the way he said it. I will never forget one particular conference. At the election in 1984, National was soundly defeated, and the annual conference came at a time of much recrimination as party members looked for someone to blame. About half of those present, known as “Rob’s Mob”, were strong supporters of Rob Muldoon, the outgoing Prime Minister, while the other half were strongly of the view that it was time for him to go. The atmosphere at the conference was electric with the opposing sides holding secret meetings as they plotted their campaign. Plunging the knife into political leaders is always a messy business at the best of times and this occasion was no different. Various speakers had made their speeches to a deafeningly silent response from the audience. There was much anger and confusion as each side tried to gain ascendency. There was a real chance the party could tear itself to bits. The conference was in no mood to agree to anything. Then Graham was asked to make his contribution. He took the stage slowly and gravely, moved to the lectern and stood there for a few minutes surveying his audience. Then he reached into his jacket pocket, pulled out a banana, peeled it and began to eat it. Some in the audience giggled, others smiled. Having demolished the banana, Graham reached into the pocket on the other side and produced some sweets which he said he had helped himself to in the foyer. When he began to eat them too he had won over most of the conference delegates. He then told a joke which resulted in loud laughter throughout the hall. And, by this time, he had the audience in his hand and had succeeded in changing the anger to humour, the hostility to goodwill. When he finished speaking half an hour later, he received a standing ovation. Such was the measure of the man. He recognised the need and supplied the remedy. It was a masterful display by an outstanding New Zealander. Years later, I had the privilege to work with Graham and his colleagues on the Sealords fisheries settlement and, later again, on the Te Uri o Hau claim. In all his dealings with me, he was honest and skilled. I came to know him well and regarded him as a valued friend. And now I mourn his passing. Graham had the ability to make things happen without a lot of people knowing. We’ll certainly miss that. He wasn’t fond of going to ask people for permission beforehand. He was the sort of guy who asked for forgiveness afterwards. He’d just go ahead and do it. That was Graham. During the Springbok tour in 1981, we got into some raging battles with the police. I don’t hold that against them. That’s what we were doing then. They believed they were right. We were absolutely convinced that we were right. It was no-holds-barred because, with the arrogance of youth, we thought we were bulletproof. We knew we were right on everything. We couldn’t be told what to do by anybody. Not by Graham. Not by my mother. Not by anybody. We were terrible. Absolutely terrible. So we were constantly at war with Graham. But it never stopped me from recognising his ability to do things. And away he went. And I thought to myself: “You clever bugger.” Here we were trying to lay it on these guys, at a distance, of course, and he managed to sneak in the door and tell it straight to their faces. So, you couldn’t help but respect his ability to manipulate parties on both sides of the fence. And his ability to get into places many others couldn’t — and then have his say. A number of people I work with have asked me why Sir Graham was important, and what his contribution was. This included well-educated young Māori, who have benefited from his achievements. This shows the enigma that Graham was. Graham was not the great communicator. By his own admission, his proficiency with te reo Māori was no more than functional. In the 30 years I observed him, or worked for him, I cannot recall even one memorable or inspirational speech from him. But he still made an immeasurable contribution to the progress of Māori and, as a result, to the social fabric of our country. That was because of his innate ability to identify opportunities to advance Māori interests and develop a strategy, sometimes overnight, to exploit that opportunity. And then he was able to assemble the resources and personnel to carry out the mission. Once he had set the wheels in motion, in order to see the project through, he still needed personal courage — which he had. And he also had the support of Lady Emily, his professional advisors, and close colleagues. That gave him the steel to hold tight until he had achieved what he was gambling on. For several years, I had the duty of briefing him at the James Cook Hotel in Wellington on the eve of our monthly Crown Forestry Rental Trust Board meetings. I would arrive mid-afternoon and there would be a queue of petitioners seeking an audience with him. This was during the transition period between the demise of the New Zealand Māori Council in its role as Treaty partner with the Crown, and the rise of the Iwi Leaders Group to eventually usurp that role. At least in practice. After he had attended to that business, I would attempt to brief him on the funding applications and policy issues we were to deal with at the meeting the next day. He would give scant attention to this formality. He preferred instead to ask what our staff were picking up from around the country — or from the offices on Lambton Quay and the Terrace. This discussion would be conducted over the odd bottle of Sauvignon Blanc, and would inevitably end with him telling a story about his life’s journey. His wife would come down from the room at 6.30pm and we would sit down for dinner, with more wine and conversation. The evening would wind up with Lady Emily advising her husband at about 8.30pm that he should now retire for the evening. And he would then take his leave. 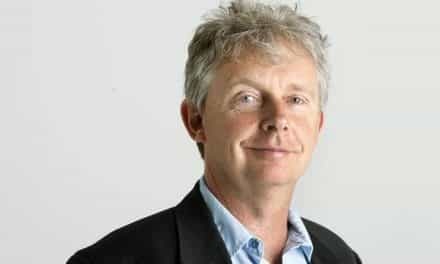 Anyone who worked closely with him couldn’t help but benefit personally from his knowledge, his commitment, his courage — and his sense of humour. I, like many others, will miss him. It will be some time before his shoes are filled. Sir Graham was a man of many contradictions. He wasn’t a great te reo Māori speaker and yet he sat on the Waitangi Tribunal which declared it a taonga worthy of protection under the Treaty. Forestry hadn’t been his specialty, but he saved thousands of hectares of forestry land from being sold and put beyond Māori reach. He had no background in broadcasting but he could see that the airwaves were a critical vehicle for transmitting our language and culture. He was a farmer, not a fisherman, but he helped lead the charge in negotiating the fisheries settlement with the Crown. 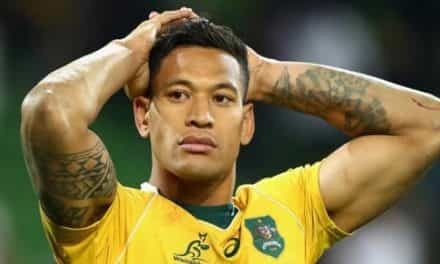 Although he didn’t qualify by gender, he was inducted as a life member into the Māori Women’s Welfare League. 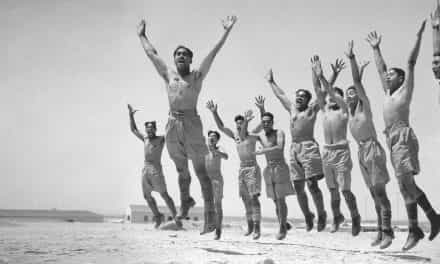 And, although he could swear like a trooper, he was a mihinare and a regular churchgoer.